All drunk driving statistics represent a human life, not just a number. It is possible to have a DUI conviction removed from your record, just remember, it will do you and others no good if a DUI is expunged from your record, yet you continue to drink and drive. Be serious about quiting this deadly habit. Many people will argue that penalties for DUIs should be reserved for those with a high BAC because they cause most of the fatalities. However, looking at the drunk driving statistics on the chart below, although the majority of the alcohol related fatalities involve drivers with a BAC of .08 or above, there is still an average of 2,500 drunk driving victims a year killed by a driver with a BAC below .08. That's about as many victims as died in the 911 attacks every year! Also notice in these drunk driving statistics almost twice as many male drivers are involved in fatal alcohol related crashes than females. The drunk driving statistics below from 2007-2008 show the overwhelming majority of alcohol impaired* drivers involved in fatalities had .15 BAC or above with only a slight difference in percentage between the two years. Notice there is still 16% of alcohol impaired drivers involved in fatalities, over 2,000, that only have a BAC below .08. 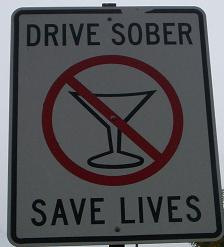 * According to NHTSA, "impaired" driving is defined by a person with a BAC of .08 or greater. Studies indicate that a person can be impaired by alcohol at .01 % BAC. "There is no evidence of an absolute BAC threshold below which there is no impairment of any kind. Therefore, certain skills important to the driving task are impaired at .01 to .02% blood alcohol level, the lowest levels that can be reliably measured by the commonly used devices."